It was reported yesterday that Lamar Odom was meeting with the Los Angeles Clippers to discuss the possibility of returning to the team, and it seems that he’s made his first real steps towards rejoining n a permanent capacity. Initially, it was thought that Lamar might not be able to return so quickly, what with his drug issues and the roster being full. 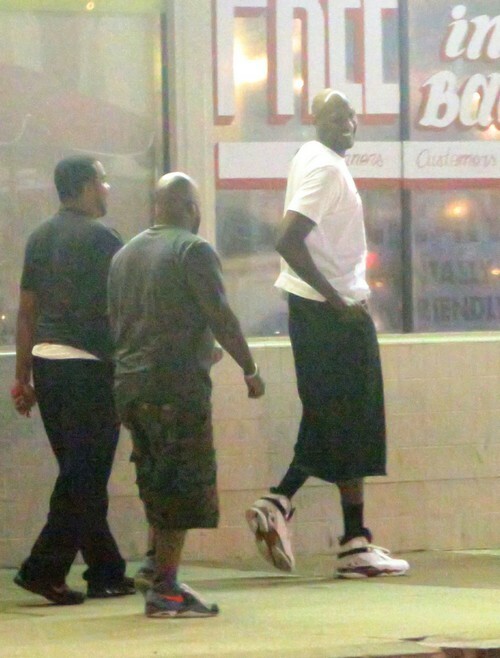 However, an open spot for next season opened up and Lamar was spotted meeting with the management. The source also adds that Lamar may start traveling with a sober companion for the first few weeks of training, and I can guarantee that sober companion will not be Bruce Jenner. And Lamar can keep in mind that if he maintains his career without any untoward incidents, he may even have a shot at getting his estranged wife, Khloe Kardashian, back. She still wears her wedding ring, so she’s clearly not given up on him. If he proves that he can stay sober throughout the year, then she’ll likely begin to trust him again. What do you guys think of Lamar returning to the Clippers? Do you think he’ll stay sober? Let us know in the comments.